So much of Chinese culture is shaped by Confucianism, Taoism and Buddhism — China’s three main religions/non-religions. If you may recall, I practice one of these belief systems — Taoism. Hence, visiting China is an opportunity for me to visit sacred sites in my own religion. China has numerous sacred mountains, which are home to temples, monasteries and holy sites in the Confucianist, Taoist and Buddhist traditions . Among these sacred mountains, there are five which are classified as great mountains. The Five Great Mountains are situated in a way that there is one each in the north, south, east, west and center. Filled with spiritual excitement, I set out to conquer three of the great mountains. I didn’t have time to summit all five, but I would cross east to west across the Five Great Mountains — hitting the western, central and eastern peaks. Along this sacred journey there would be a couple not-so-sacred city stops. The first was Xi’an, which if not sacred, is at least historical. 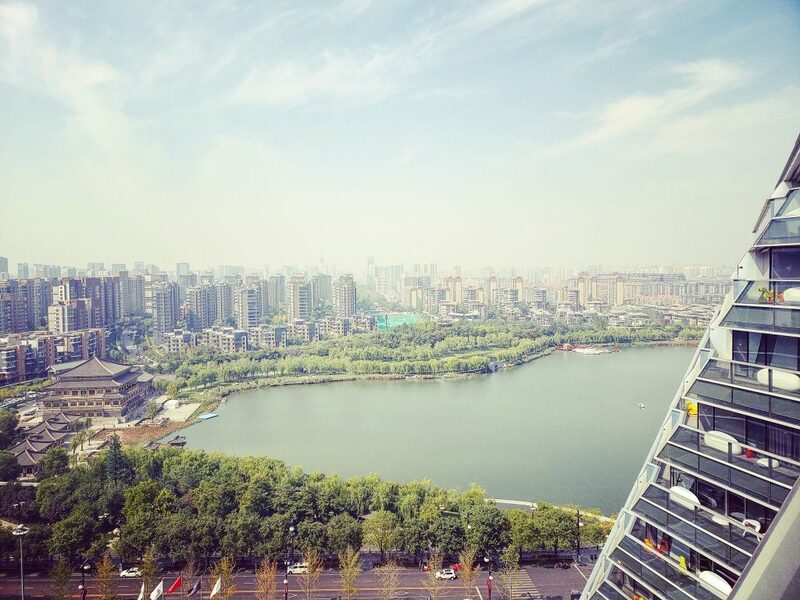 Now a rather modern city of about 12 million people, Xi’an was an ancient capital of China. In fact, Xi’an is the oldest of China’s Four Great Ancient Capitals. 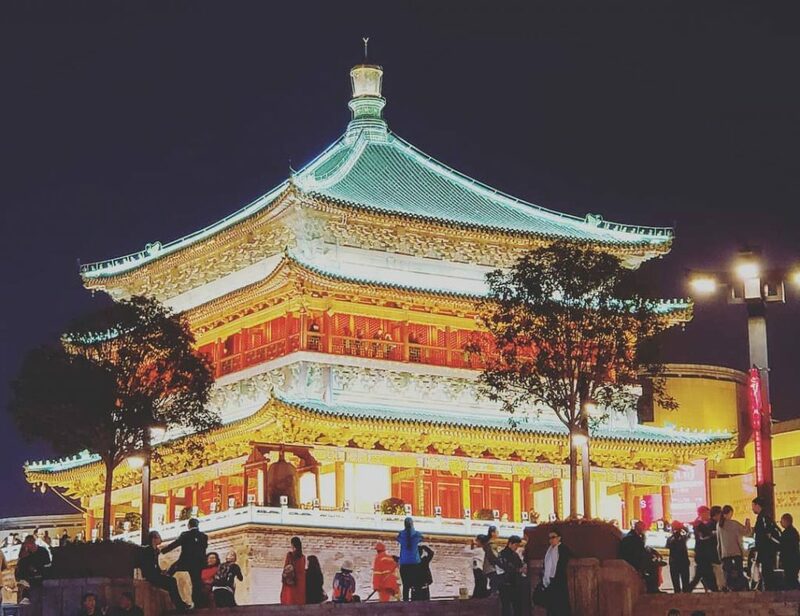 Situated in central/northwestern China, Xi’an has large city walls, old temples and a… mosque. Xi’an was the first city in China in which Islam was introduced. Today the city has an interesting Muslim quarter with food stalls that serve some rather odd dishes, such as Yangrou Paomo, which is crumbled unleavened bread in mutton stew. 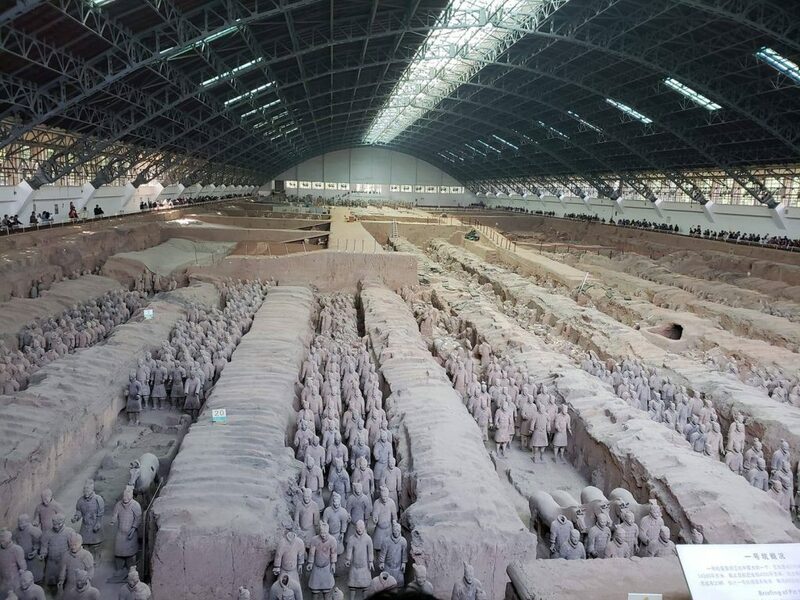 The main tourist attraction in Xi’an is the Terracotta Army. 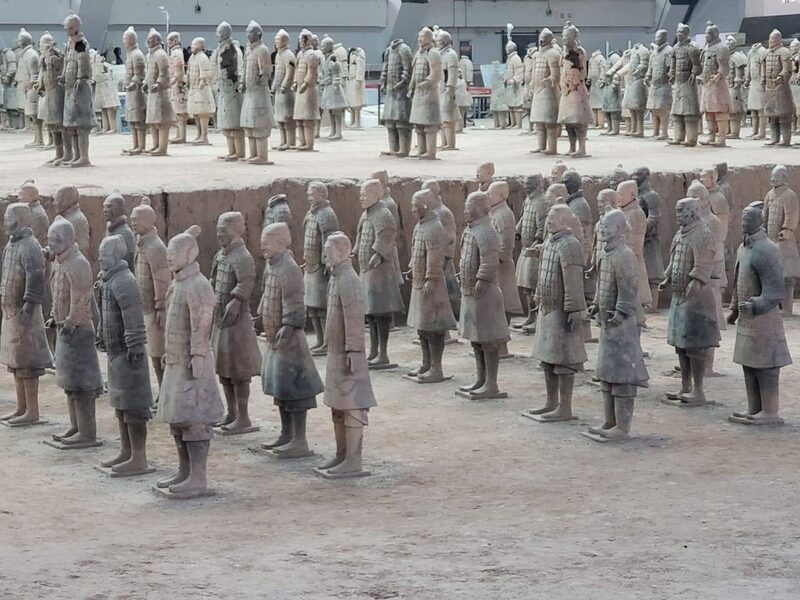 This is a collection of terracotta (basically clay) sculptures depicting the armies of Qin Shi Huang, the first emperor of China. The sculptures are located in the emperor’s mausoleum. The terracotta warriors date back to the third century BC. They were discovered in 1974 by local farmers. In my opinion, the figures look fake. I’m not sure if many of the statues are real. Nonetheless, the giant assortment of terracotta warriors is a world heritage site. The first of the sacred mountains I would visit was Huashan, aka Mount Hua (“shan” is Chinese for mountain). 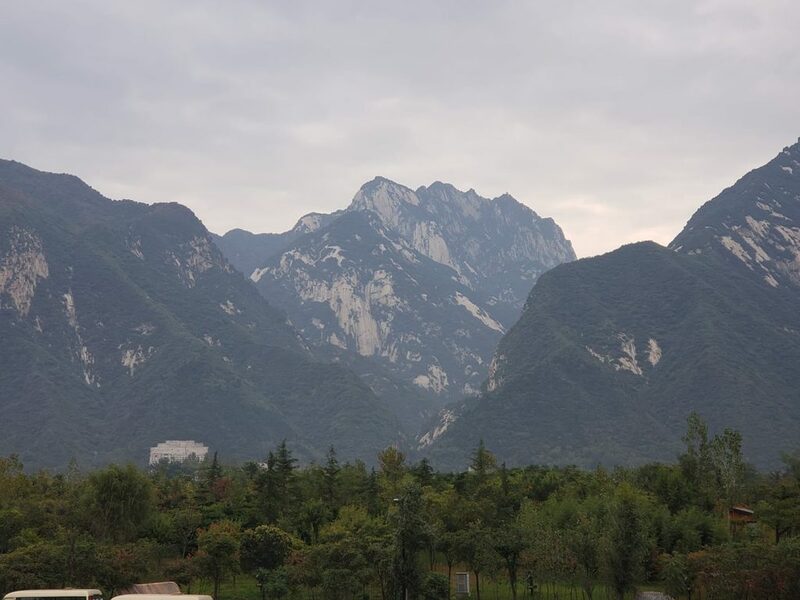 Huashan is the western mountain of the Five Great Mountains of China. After taking a bus, I arrived at the mountain at about 1 pm. The cable car was no longer operating. The cable car operators told me there were too many tourists on the mountain already, and if I wanted to go up, I would have to walk up. That would take about six hours. Disappointed, I got on the return bus. I was going to accept defeat early on in this sacred mountain climbing adventure. But I happened to board the wrong bus. The bus I got on took me to the trailhead for the hike up the mountain. Now I was curious. I wanted to take a look and take a few photos. I thought I would walk some meters and take pictures of temples. After I started walking, I became more curious. I walked farther and a little farther, and then I reached an entry gate, where the hike up the mountain formally started. Now really curious, I searched online. I found some people said you could get up the mountain in 3 hours. I have really long legs and I can walk fast, so I figured I could make it up in 2.5 hours. There were 3 hours left before it was going to get dark. I started my ascent. From more than one vantage point, this is a very scary hike. It gets very steep, and some people have fallen. Considered by some as having the world’s most dangerous hiking trail, Hua Shan is one of the steepest mountains in the world. At some points you are basically walking vertically as you climb the stairs leading up the mountain. There is also a famous plank walk, which I unfortunately did not get the opportunity to do. On the plank walk, you are secured by a harness as you walk across a thin wooden plank attached to a ridge, looking down at what would otherwise be certain death. There are rumors that 100 people die every year as a result of falling while climbing Huashan. 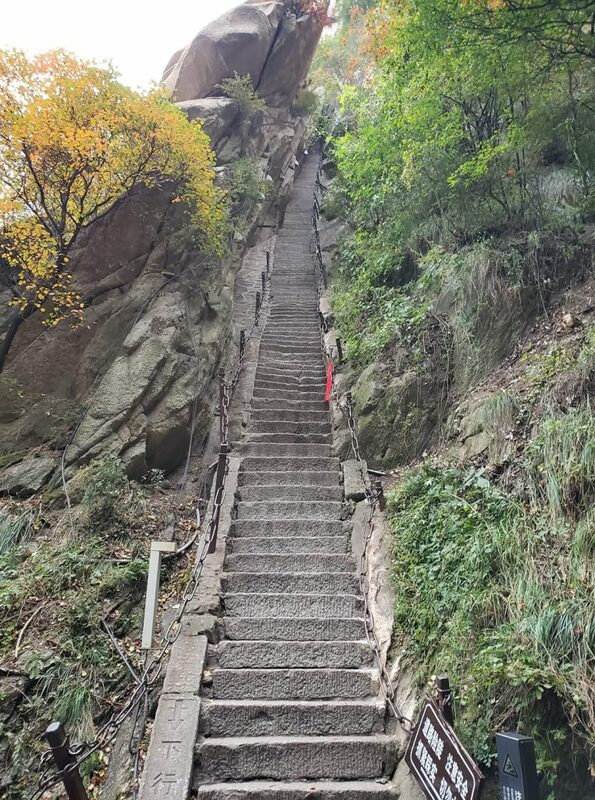 That’s probably an exaggeration, but I could see how some Chinese people might be looking at their phones and not paying attention to their steps while climbing the mountain, and then they fall. Apparently the trail has been fixed up and made safer over the years. 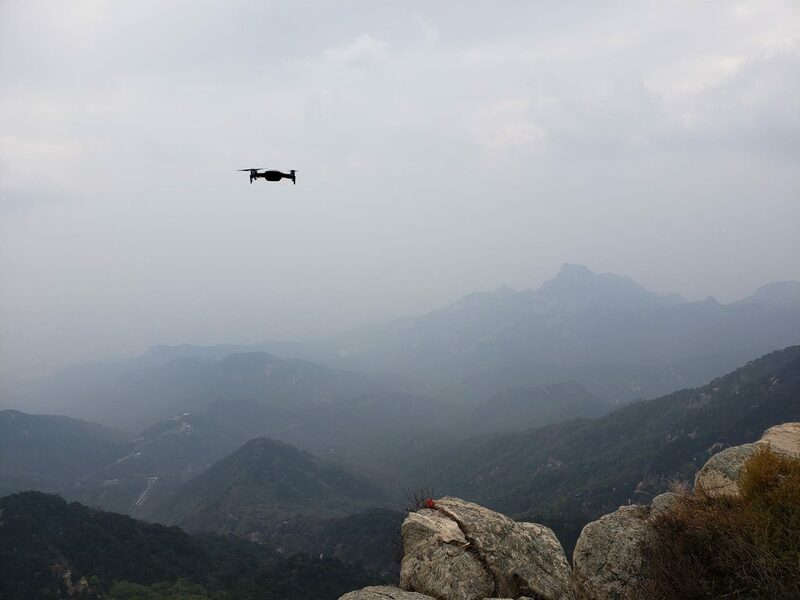 In my opinion, at least now, hiking Huashan is no real danger if you are a competent hiker. Still, there was one section in which I was walking just about vertically for 200 meters. On my ascent, I was not fixated on my phone. Rather, I was fixated on my thoughts, doing some contemplation, as would become the norm on my sacred mountain climbing adventure. After about 20,000 steps and 2.5 hours, I made it up the north side of Huasahn. 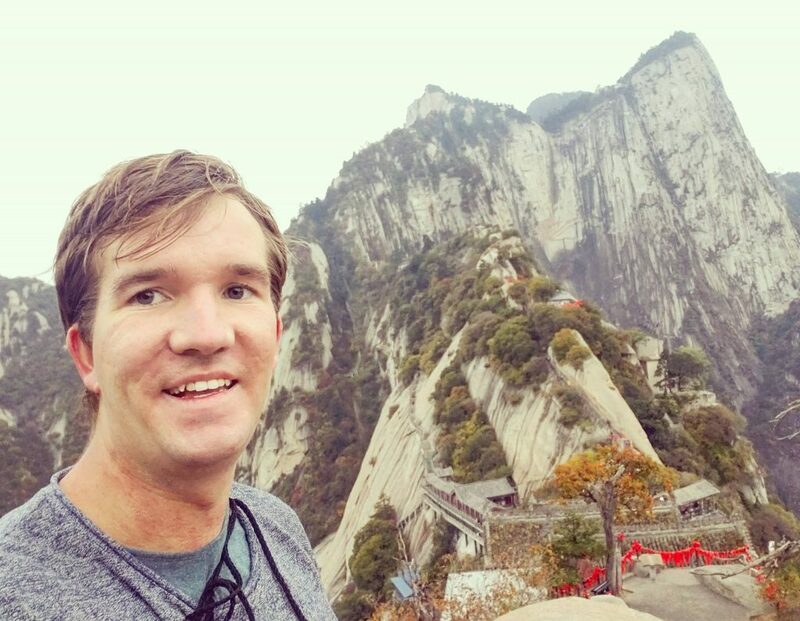 This isn’t the highest point on Huashan, but it has some very good views. Unfortunately, by the time I made it up, it was not only getting dark, but also getting cold and rainy. And to take the cable car down, I had to wait two hours. 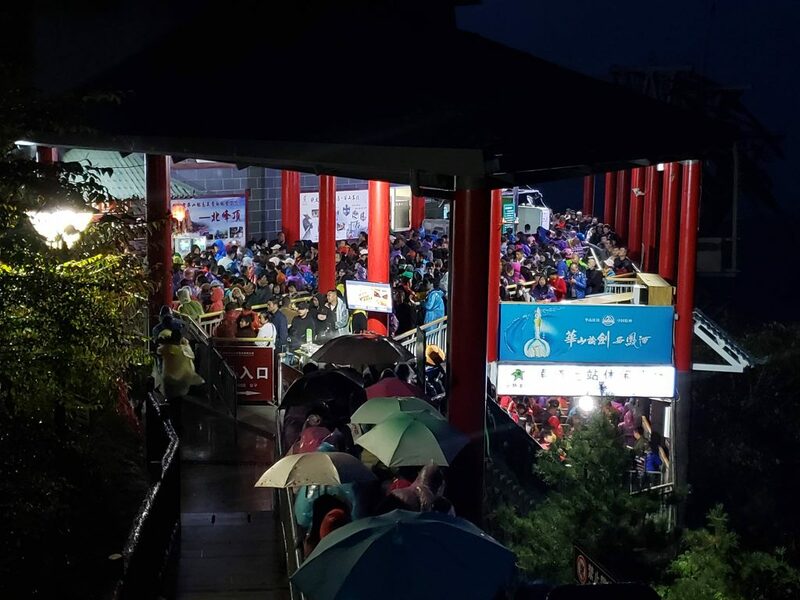 The Chinese have a thing for standing in lines and waiting. They seem to love it. It’s like a national pastime. 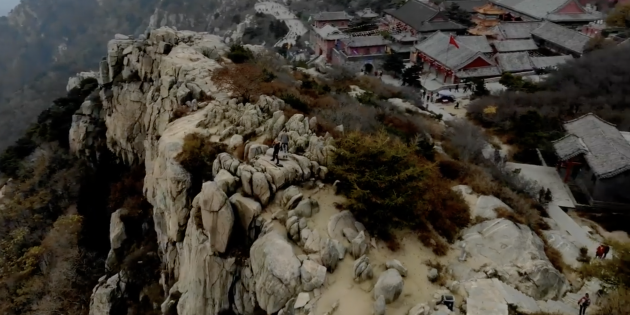 The central great mountain is home to a landmark you may have heard of: the Shaolin Temple. It shows up in movies because it is famous for martial arts, particularly Kung Fu. 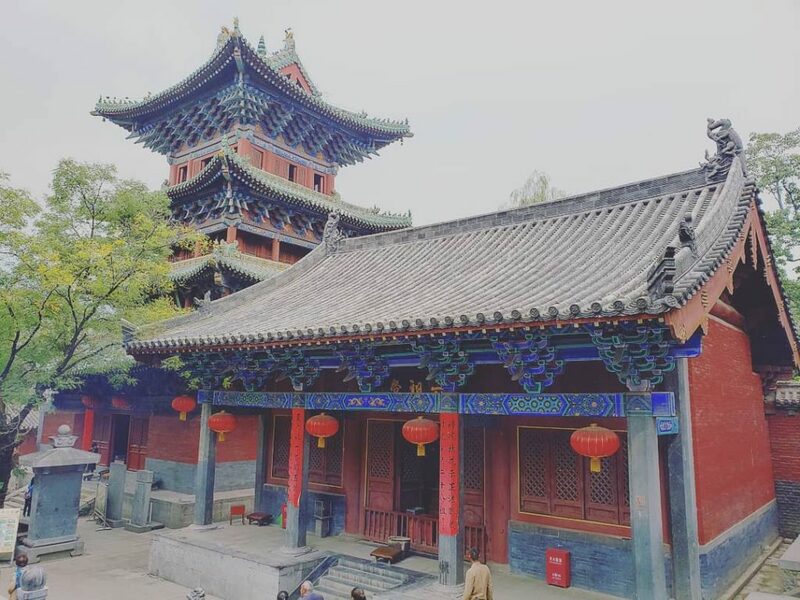 Although it’s known nowadays for being the place where Kung Fu warrior monks train, the Shaolin Temple is actually a sacred site. It is considered the birthplace of Zen Buddhism. 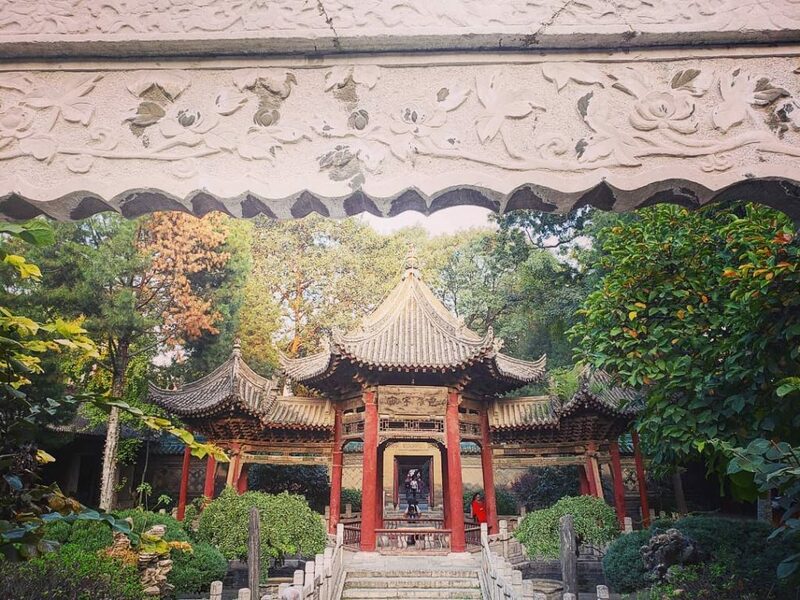 The Shaolin Temple is located in a forest on the north side of the central peak of Songshan. Songshan is the central great mountain, and it consists of several peaks. Songshan is sacred not only in Buddhism, but also in Taoism. It is worth noting that Zen Buddhism is a belief system strongly influenced by Taoism, and the first people recruited to Buddhism in China were Taoists. Songshan is home to important Taoist temples. Unfortunately I did not visit them. I did get to see, though, warrior monks-in-training in action. Thousands of youth who train at the Shaolin Temple were doing Kung Fu movements in unison during my visit. 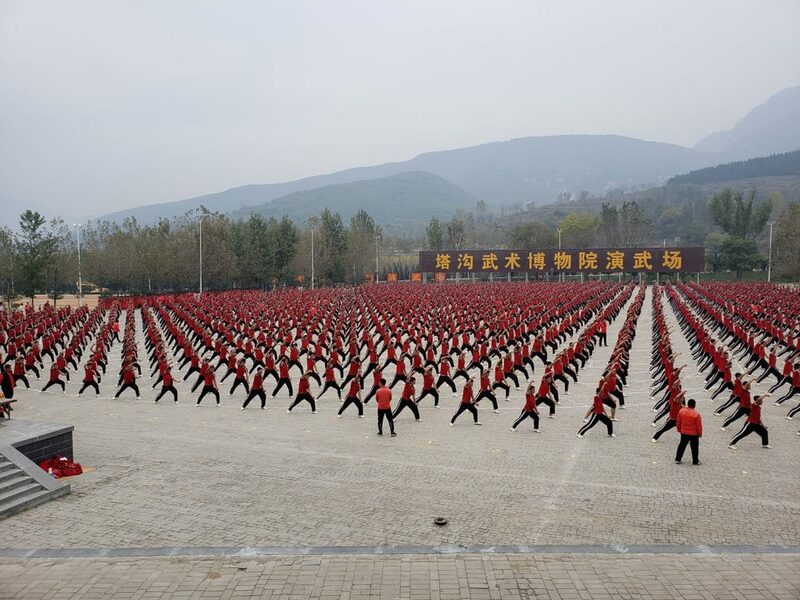 Their discipline is impressive, and from an outsider’s view, it looks like you are watching a new Chinese Red Army training to conquer the world — not that that’s the point of Shaolin Kung Fu. Realistically speaking, the Shaolin Temple is touristy. I didn’t spend that much time there, which was due in part to another late night before. At this point in my great mountain journey, I was joined by Fabian, a friend of mine from Vienna who lives in China. The night before visiting the Shaolin Temple we were in Zhengzhou, a large centrally located Chinese city and transit hub. Fabian landed a Tinder match who promised us an encounter with four hot Chinese girls. But the match was not willing to meet us near where we were staying — the JW Marriot in the center of the city. Rather she insisted we drive to the outskirts of Zhengzhou to a location about 60 km away — a 90 minute ride when factoring in traffic. I thought this was a scam. But I was willing to go along because my access to the JW Marriot executive lounge provided us a bunch of free alcohol to keep us entertained. 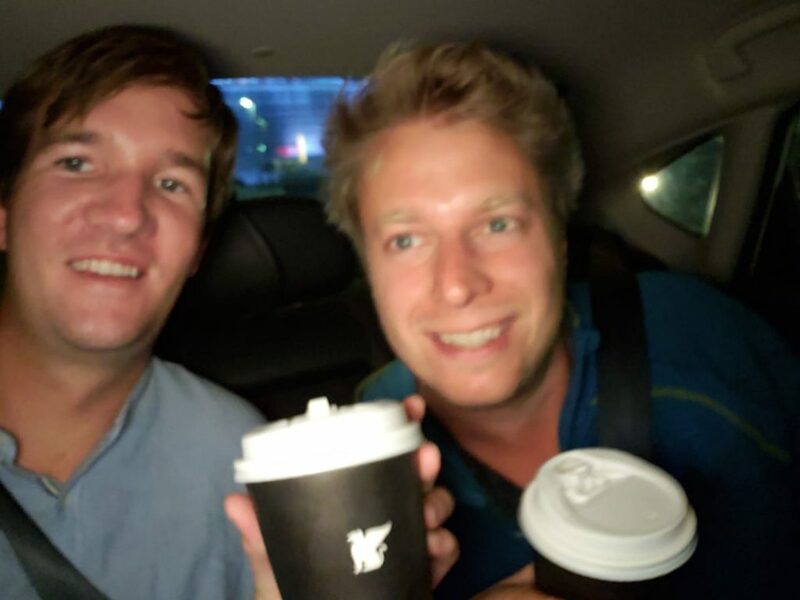 Carrying coffee cups filled with beer, we hopped in a taxi headed for the outskirts of Zhengzhou. What was there to lose? When we arrived, we met Fabian’s match… who had a husband. And the husband was there with her. That seemed to vindicate my initial doubts. The match wasn’t the only one who was married. We were meeting four married women from Hong Kong. They spoke good English and took us to a restaurant that had just closed, but then reopened just for us. Maybe we weren’t going to get any romance, but now the night was seeming salvageable. Things got crazy quickly, well at least for us. What did we eat at this restaurant? Chinese hot pot. 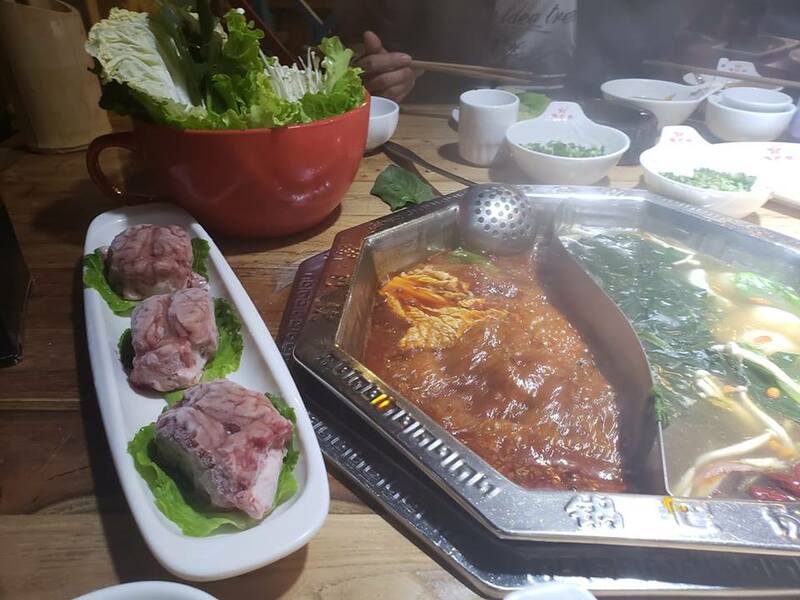 What was in the hot pot? Cow stomach, sheep eyes, pig brain and some normal stuff like fish. Cow stomach, pig brain etc. Another married couple also showed up to this bizarre Tinder date. It turned out the man in this couple had a crypto business. It sounded to us like yet another crypto Ponzi scheme. Apparently the guy was rich, though. That’s what his wife said. She said she married him because he was rich. Now she just uses Tinder to find some company. Her husband, the crypto guy, couldn’t speak English. The other married women on this date/gathering apparently help out with this Ponzi scheme, or whatever the crypto operation is. They want to sell the business. We were not buying. But the fun was just getting started. From eating sheep eyes and pig brain we moved on to KTV. What is KTV? 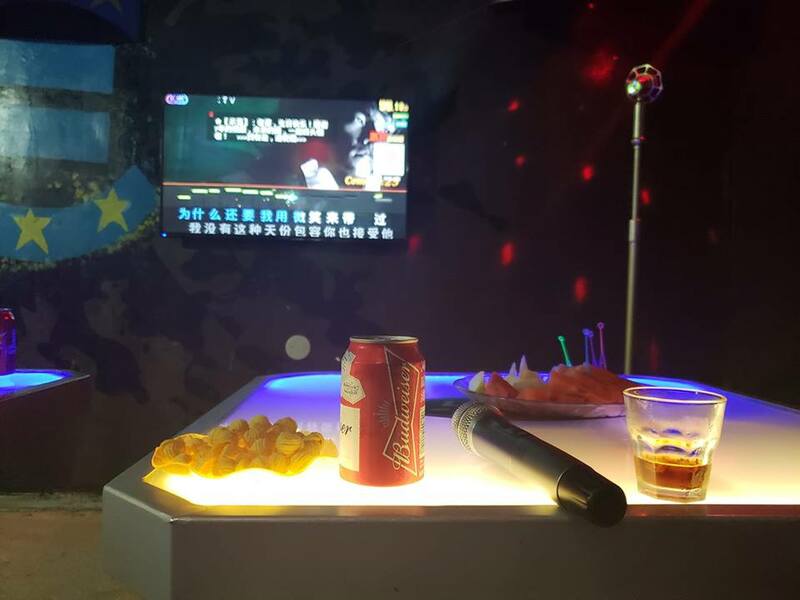 It’s karaoke Chinese style, and it’s more fun than karaoke in the West. You get a private room to sing Karaoke and drink. Our room had access to an adjacent supermarket that is only for KTV clients. You can go into the special supermarket and buy drinks and snacks for your karaoke session. We grabbed some beer, whiskey and coke and drank and sang until 2 or 3 am. Most of the songs are Chinese, but some are western. In the end we didn’t go home with any hot Chinese women, but the night out in Zhengzhou proved one to remember. After Zhengzhou and Shaolin, it was time to complete my east to west trip across the great mountains. 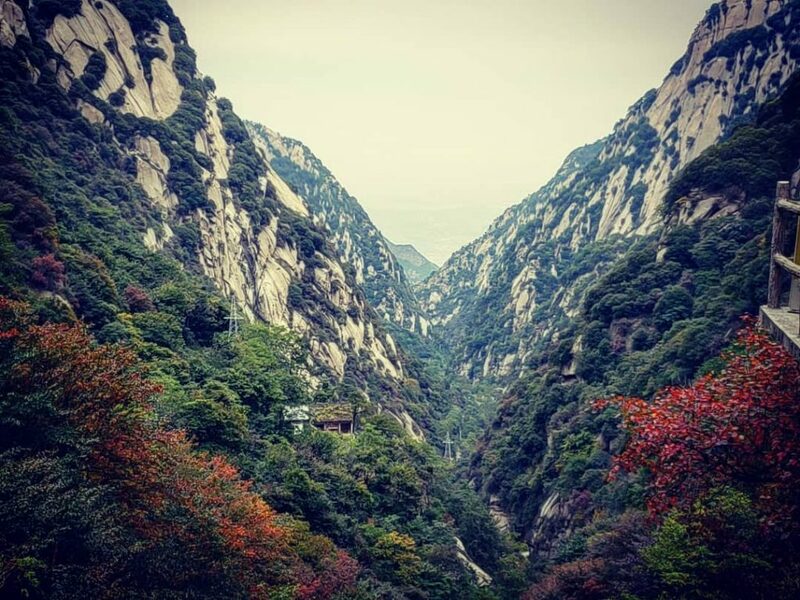 Taishan, the western mountain, is known to be the most famous sacred mountain in China. A high-speed train brought us to within striking distance of Taishan. The Chinese high-speed rail is very punctual, with trains arriving basically every 5-10 minutes, then traveling at speeds of about 350 kph, getting you to your destination in a hurry. Taishan is scenic, and it draws a lot of tourists. The mountain has a lot of temples, which are especially concentrated on the Jade Emperor Peak. Even though it’s touristy, the spirituality shines through. Taishan has been a place of worship for at least 3,000 years. As with Songshan, it is a very important location in both Buddhism and Taoism. 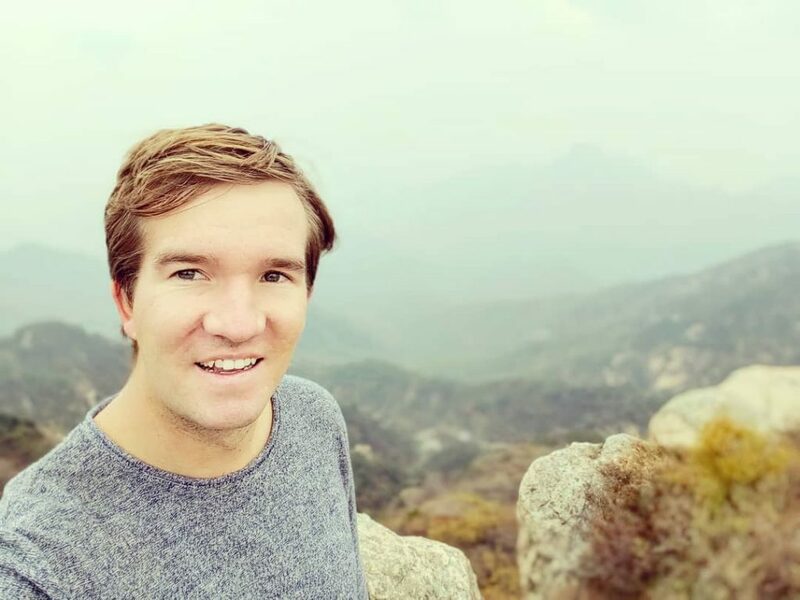 Climbing Taishan gave me the opportunity to reflect on my Taoist beliefs. At the core of Taoism is the concept of Tao, which means “way,” or it could also be explained as life’s road, path, channel or flow. The leading ethical concept in Taoism is wu-wei, which means something along the lines of action without action or effortless action or passive activity. It insinuates the universe has a spontaneous order that people are supposed to live in harmony with. Things get done without people doing things — pretty much laissez-faire, to use a more commonly known term in the West.